TPS have worked with Ellison Inc. to create, from scratch, a series of lesson plans for teachers to review with or reteach students. A matching video for the teacher will hugely assist teachers who may be concerned with art. The die cutting machine does all the intricate work, and these communications based lesson plans with videos will greatly aid all struggling students. Often making models will unravel misconceptions for students. The low text results in all English Language Learners being able to master the mathematics content through art projects. Ellison Inc. also include ELPS links in each lesson plan to ensure continued vocabulary learning. Often making models will unravel misconceptions for students. The low text results in all English Language Learners being able to master the science content through art projects. Ellison Inc. also include ELPS links in each lesson plan to ensure continued vocabulary learning. A matching video for the teacher will hugely assist teachers who may be concerned with art. The die cutting machine does all the intricate work, and these communications based lesson plans with videos will greatly aid all struggling students. The PSHE (Personal, Social, and Health Education) After School Club again uses the AB Curriculum Activity guides to provide a varied program of activities. All the activities have Science links but are truly cross curricular addressing topics such as Life Processes and Living Things as well as Anti-Bullying. 4 sessions of activity all come together to produce a piece of work in which the student can be proud. Resources which focus on teaching Science with articles from the recycling bin and linking Science and Art. Reproducible master sheets for commonly used items like charts and tables plus Benchmark tests and literacy. Science concepts can be even more difficult to address with Students who struggle with literacy skills. Archway addresses these issues with a one-on-one program of games and activities, which have been tested and developed over years of teaching practice. Archway is a phonetic scheme designed to help people of all ages to read, write and spell. Archway uses games, DVDs, books, cards and exercises to help students develop their language skills. Financial literacy is a hugely important subject. Without correct guidance school leavers can struggle to make sensible choices regarding their own financial arrangements. This component addresses these areas covered within the TEKS with interesting activities which are relevant to all students. Looking at income and expenditure in early grades and moving on to comparisons of interest rates and the use of credit cards this component demonstrates how important Mathematics can be in everyday life. Exciting thematic reader books have been written appropriate for each grade reading ability. Grade 5 students will review 21st Century families. There are many types of family units. Students learn to understand the variances there can be and work together to accept each unit. Each book adds to the literacy element of the program engaging students with fun stories. For lower grades the students may read or be read to. Colorful graphics illustrate the books. Within each book are further exercises and links to other PSHE resources. Exciting thematic reader books have been written appropriate for each grade reading ability. In Grades K – 2 the teacher/writers focus on the topic of sport at the Olympics to motivate students to read, write, communicate and exercise. Each book adds to the literacy element of the program engaging students with fun stories. For lower grades the students may read or be read to. Colorful graphics illustrate the books. Within each book are further exercises and links to other PSHE resources. Exciting thematic reader books have been written appropriate for each grade reading ability. Grade 4 students return to the Olympic Games. Geography and social reviews are linked to coverage of Grade 4 mathematics. Students learn about countries outside the U.S.A. Each book adds to the literacy element of the program engaging students with fun stories. For lower grades the students may read or be read to. Colorful graphics illustrate the books. Within each book are further exercises and links to other PSHE resources. Exciting thematic reader books have been written appropriate for each grade reading ability.In Grade 3 the writers have created a fictional family. Each chapter covers a personal, social or health education topic. Each chapter is linked to a likely family event. 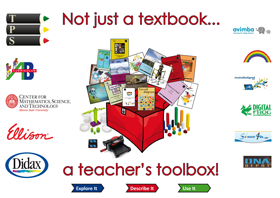 Educational paper craft packs are linked to each chapter. The craft packs act as visual assessment tools. Each book adds to the literacy element of the program engaging students with fun stories. For lower grades the students may read or be read to. Colorful graphics illustrate the books. Within each book are further exercises and links to other PSHE resources. We all know the importance of good cooperation and support from home. The program’s Parent Guide provides information and ideas for how parents can work with the teachers to enhance the education of their child. TPS stands for Teacher, Parent, Student so this relationship is always going to be high on our list of priorities. This guide helps parents to understand the course of study which their son or daughter is undertaking as well as providing them with coaching tips to aid their child's education. Extending the ownership of education back to the home will increase the engagement of parents in their child's study and improve communication between the classroom and the home. Science is a Verb provides short labs to introduce Science concepts. Science is a Verb promotes an in depth discussion which helps students to understand the science concepts and not jump to common misconceptions. A number of components link art and science which can be particularly beneficial for kinaesthetic learners. The Science Through Art series provides a lesson plan addressing each Science TEKS. Each lesson plan maintains a format, which makes it extremely easy to follow for all teachers, whether used to using art in combination with core subjects, or completely new to this idea. Combines scientific concepts with literacy and art for grades K – 8. Discussion and interaction between students is a key feature of this component. Students complete group and individual activities, they are encouraged to read and draw and each lesson finishes with an Art or Craft activity. Particularly relevant for ELL, below grade and special education students. Written to accompany the Traditional Textbook, the Scientific Investigation and Reasoning Handbook addresses important safety needs of students and develops their essential Science skills. This component supports the inquiry based nature of the program by developing the skills needed by the students to flourish in Science. Developing an inquisitive nature and being able to interpret what they see are vital qualities for any young Scientist. The traditional lesson plans have been written from the ground up to align completely to the Science TEKS. For those teachers and students who prefer this approach content is covered in a clear, methodical and trusted style. The traditional textbooks provide the building blocks of our program and we provide a Teacher and Student Edition for each grade. The traditional Lesson plans have been written from the ground up to align completely to the TEKS. For those teachers and students who prefer this approach content is covered in a clear, methodical and trusted style. Students access learning through fun action based, and fully inclusive crafting and reader activity book materials. The arts activities are excellent visual assessments as each student creates a personalized output. STEM projects provide project-based, career-targeted challenges related to specific standards The STEM Project Edition, for grades K through 5, takes mathematics instruction to a whole new level. Students learn TEKS content by using fun projects. They design and build a variety of devices and use mathematics to measure, describe, and predict their operation. STEM projects provide project-based, career-targeted challenges related to specific standards. STEM projects work well as a visual assessment at the beginning or end of a unit of instruction. They also can be used to tie unrelated concepts together. All activities are written using the DAPIC format that allows students to learn by experiencing the concept, not just hearing about it. STEM projects work well as a visual assessment at the beginning or end of a unit of instruction. They also can be used to tie unrelated concepts together. Scientific Investigation and Reasoning are clearly addressed and utilized in every project. All activities are written in a three-part learning cycle format that allows students to learn by experiencing the concept, not just hearing about it. Safety handbook reviews all Forensic Science safety TEKS to insure safe laboratory and field investigations.